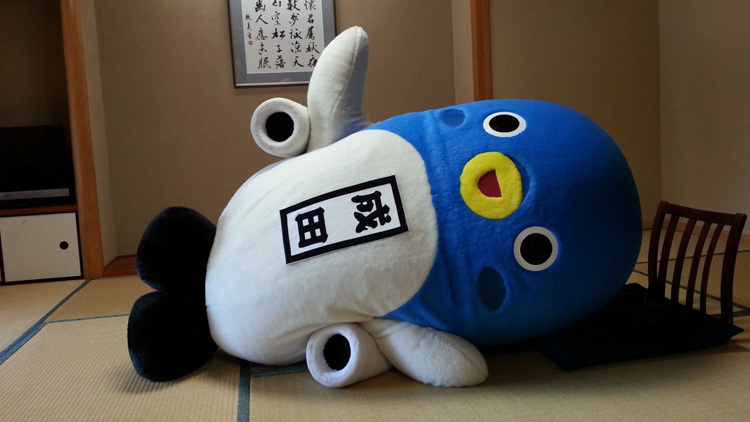 Cities, prefectures, public facilities—name a place, and it’s more than likely Japan has a mascot for it. There are a reported 1,157 of these mascots, known in Japan as “yuru-kyara,” and they’ve just faced off in a yearly competition. After a hard struggle, Unari-kun, who represents Narita Airport emerged as 2017’s mascot of the year. Unari-kun’s name combines “unagi” (eel) with “Narita,” because Narita is famous for its unagi dishes. His body is a combination of a plane, representing Narita Airport, and, you guessed it, an eel. Coming in second and third place in the competition were Chiba’s Chiryuppi and Higashi-Osaka’s Torai-kun. Back in 2014, we reported that Japan’s Ministry of Finance had determined that mascot characters are, by and large, a waste of money. Over three years later, though, and it doesn’t seem like the obsession with yuru-kyara is ending anytime soon.